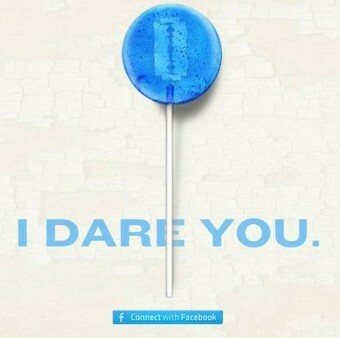 Description: Take This Lollipop is a 2011 interactive horror short film and Facebook app, written and directed by Jason Zada, which uses the Facebook Connect application to bring viewers themselves into the film, through use of pictures and messages from their own Facebook profiles. The film stars actor Bill Oberst. The film acts to personalize the undescore the danger of too much information about oneself on the interne. Synposis from Wikipedia: The interactive film first requests that viewers temporarily allow the application access to their Facebook account, and then incorporates information gleaned from the viewer's Facebook page to fill in details of the film itself. Showing 'The Facebook Stalker' as a thin, creepy fellow, hunched over and typing at a computer keyboard, images provided from the accessed Facebook account begin to appear as the stalker types at his keyboard, and appears to search for the specific Facebook user who had granted access. The Stalker becomes more and more agitated as he scrolls through the discovered information, until he locates the home of the user, pulls up Google Maps, and finds directions to the user's home from geographic data contained in his or her profile. With the user's profile picture taped to its dashboard, the stalker is then seen driving in his car to the user's location, apparently to perform mayhem. At the end of the film, a screen appears with an image of a red lollipop containing a razor blade. Below the image is the viewer's Facebook screenname and the name of the stalker's next victim as gleaned from the viewer's own profile.